Anyone trying to share or sell something knows the power of showing a little up front—just a taste to get people interested. Blurb’s book preview offers you the chance to do just that. 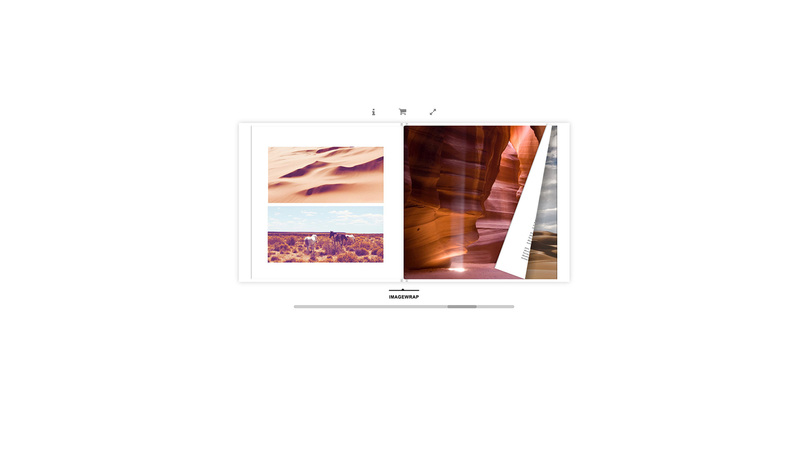 With Book Preview, you can customize how many pages are visible, or show off the whole thing—whatever it takes to generate interest in your project! 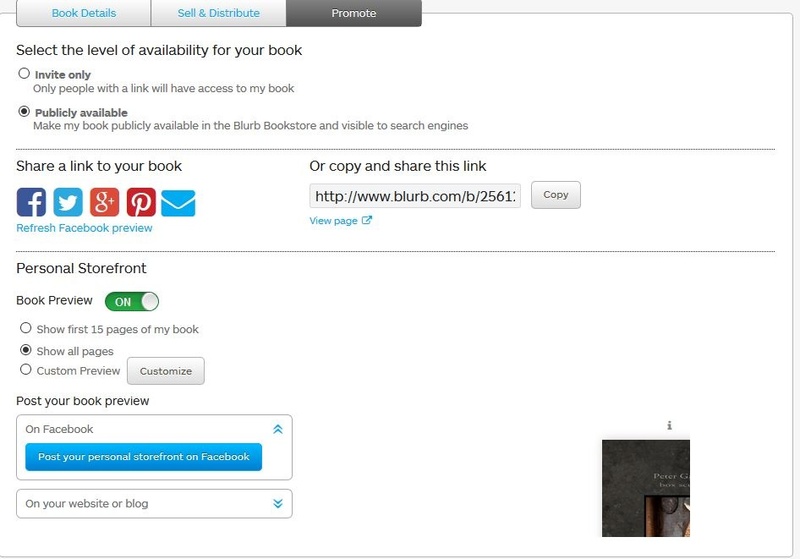 The Book Preview link works in Facebook and Twitter posts, as well as on your blog. For your blog, you can show the Book Preview in a widget that will help direct people toward your book in the bookstore as they view it. It’s a great way to put your project in front of people and promote it. How do I get the preview code to use my website? The first thing to do is to head to My Books section on Blurb.com while logged in. Find the book in the list you would like to share a preview for and click “Sell My Book.” Once you are on the book details, be sure to fill in your Book Details, complete all the required fields and click “Save” at the bottom. Once your book details have been saved, click on the “Promote” tab. Click the toggle to set your book to be “Publicly Available”. Please note, books that are set to Invite Only are not eligible to use the book preview widget. Once your book has been set to “Publicly Available”, under the Personal Storefront section, you can set your preview to be on or off, select the preview to display 15 pages by default, show all pages, or customize the preview to include only those pages you want visible. Once you have the pages you want to set up, click on the area labeled “On your website or blog.” It will expand out showing you embed code options for Blogger/Wordpress and your website. Finally, click the Copy button for the embed code you want to use! Have you found a way to make the Book Preview work for you? Share your success in the comments below! How to install is not so clear. On my promote section it is still showing only top edge of page!? Works on Google Chrome properly but not Mozilla Firefox for several months. When I upload this to my website, I get a tiny little image; not near as nice as the previous widget. Is that because it’s optimized for mobile and doesn’t work so hot on desktops??? Is there a way to resize the widget? More info, please! Thank you. Me too! Tiny image on paper white background. More options or advice how to modify code would be greatly appreciated. I don’t want to move the widget to my WordPress website. I have links to go to the Blurb website. That is where the clients preview my books. Will that widget also disappear by June 30th?